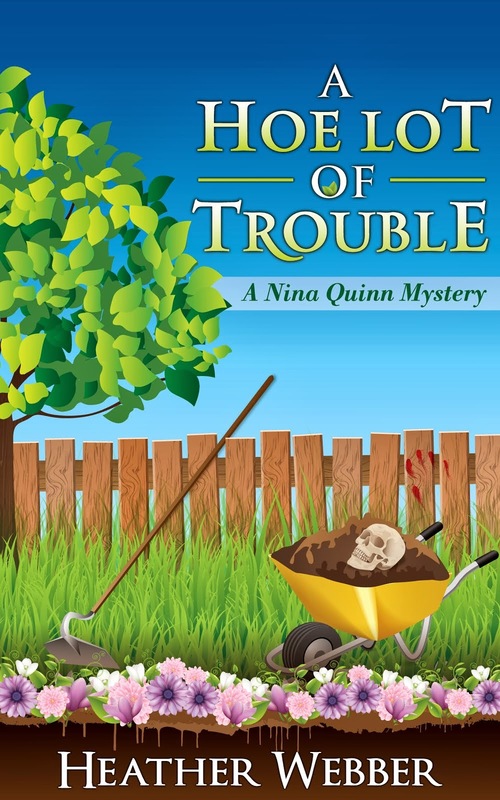 Really fun guest blog today over at Melissa's Mochas, Mysteries & Meows! It's a conversation between Roly & Poly, from the Magic Potion books, and me. They're, ah, a bit disgruntled. Tomorrow is the last day for the Witchtastic Giveaway! It closes at midnight tomorrow night, so be sure to enter if you haven't already. I hope to get the prize pack in the mail on Thursday so the potion bottle candle holders (SO CUTE) can be used before Halloween. Good luck! I need to quit my job and find a Sugar Daddy so I have time to read all these books I want to read. I just love yours! I stopped by M,M and M. I'm with Laura, we readers should all have sugar daddies so we can read more and to buy more books. An unlimited book budget would be so nice, wouldn't it? Thanks for stopping by! Oooh cool, thanks for helping me find another great review blog to check out and this is too cool of a giveaway to not enter! This is a great giveaway Heather. I have both of the magic potion books in Kindle and I'm really hoping they come out in Audible. I have your Wishcrafter and Lucy series in both ebook and audio (and some paperbacks), and the Nina Quinn books on Kindle and hope they will also be in audio some day. Hi Lynda! I have hopes for the Magic Potion books for audio, but the Nina will probably never be because we can't get the rights back to books 2--5. :( I still keep hoping, though. Can't wait to read this one, Heather! 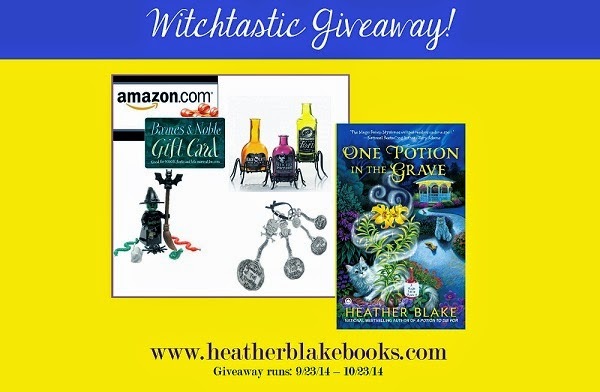 Thanks for the chance to win this great "bewitching" giveaway! Hi Lynn! Thanks for stopping by. And good luck with the giveaway--I love all the items. LOVED One Potion in the Grave. As I've told all my book friends on Goodreads, I don't think you know how to write a bad book! You haven't disappointed me yet. The Goodbye Witch is my top-rated book so far this year!